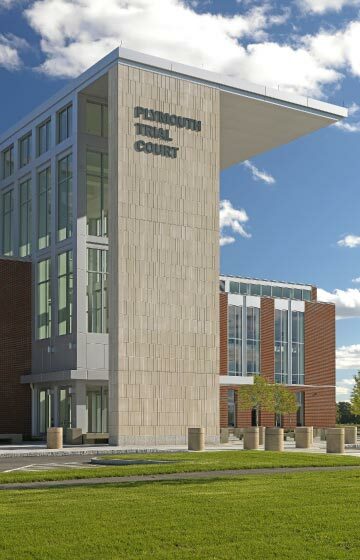 The award-winning Plymouth District Trial Court provides space for five departments of the Massachusetts Trial Court and for the District Attorney’s office, a law library, and a childcare facility. Two distinct volumes allow separation between sensitive programs: private, court-related functions and public, shared spaces. 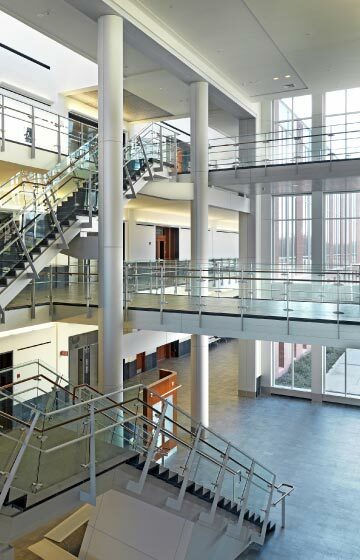 A large atrium connects the two volumes and acts as a landmark for visitors. 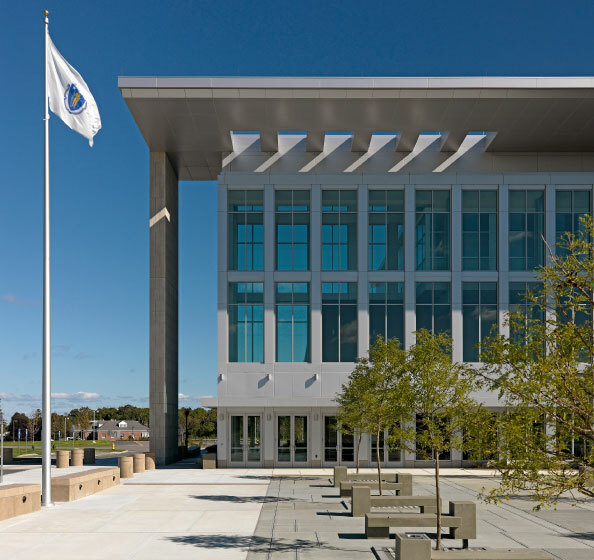 Forms and materials respond to the historical context of the site, and reflect the building’s civic importance. Permanence, both symbolic and practical, is a primary design goal. 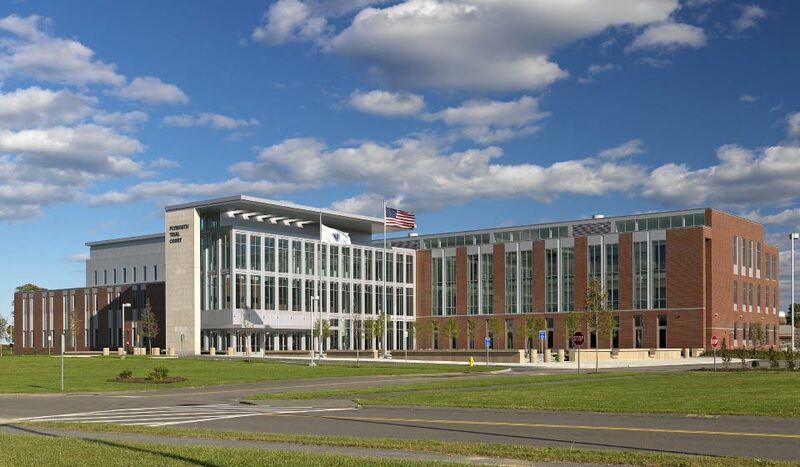 The brick, aluminum panel and glazing of the facade are at once weighty and transcendent, a physical reflection of the program contained within. Daylight serves as the primary ambient light source and brings visual and physical warmth to the interior. Exterior and interior materials will wear well, reducing the need for ongoing maintenance.